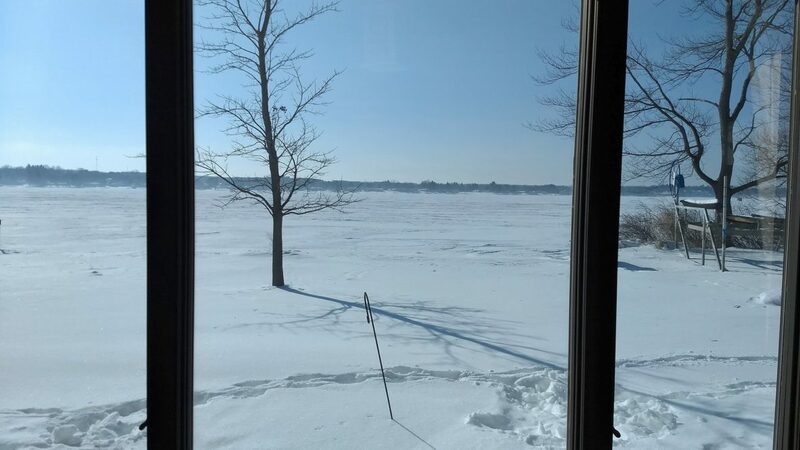 When you have a great lake view of Lake Cadillac like this homeowner does, you don’t want anything to detract from it in any way. In this particular case, the views come on the Southern exposure of the home. This means that these windows also have an issue with solar heat gain and glare. 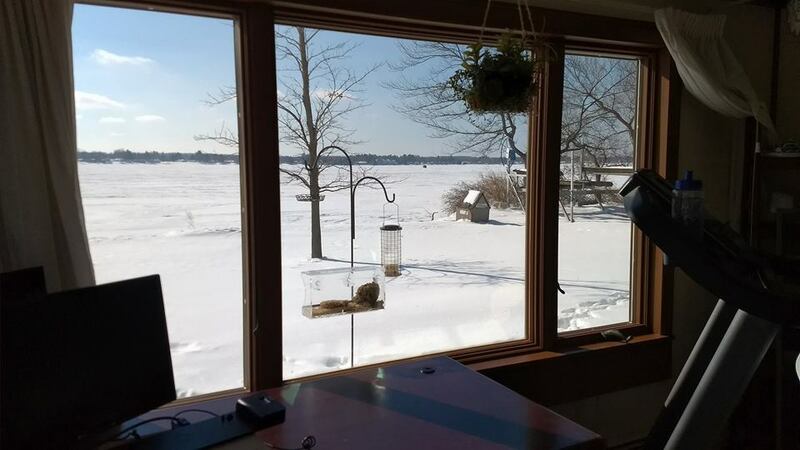 So, the dilemma is how to control the solar heat gain and glare while maintaining the view? 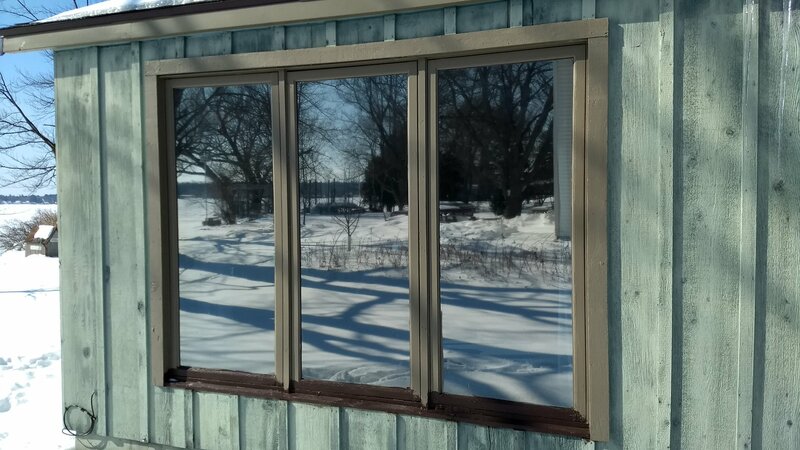 We specified and installed a dual reflective home window film from Vista called V28 Luminance. Vista window film is the premium brand of window film that has been designed for residential applications. It is one of the most effective and economical methods of controlling the sun to block damaging UV rays, reduce solar heat gain and overheating and reduce glare while saving on energy costs. Once installed, this Vista home window film reduces heat transmission by 65%, while reducing light transmission (glare) by 70%. As an added benefit, this film also improves daytime privacy. Check out the pictures below to see some additional inside and outside pictures of this installation. Finally, Vista premium window film provides the highest level of UVA and UVB ultraviolet rejection by blocking up to 99.9% of harmful ultraviolet rays. The film’s protective shield helps defend against the dangers of UV induced skin diseases and photosensitivity. The sun’s UV rays are also the leading cause of fading in home interiors. Vista window film will help preserve the color brilliance of furnishings, fabrics and carpets. 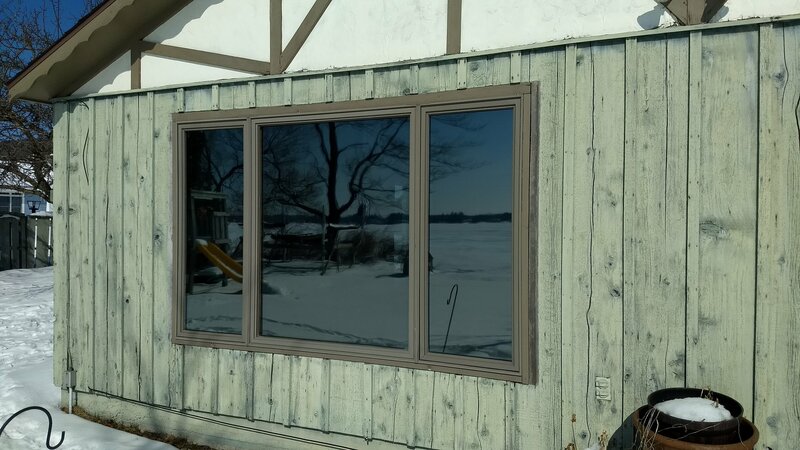 If you would like more information about the home window films that All Season Window Tinting offers, click HERE. If you have any questions, please call our office at (800) 874-8468, or Contact Us using our online form submission for an absolutely free, no obligation consultation and quotation on implementing home window film. Our service areas include Traverse City, Grand Rapids, Cadillac, Petoskey, Roscommon, Ludington, Michigan and all of the surrounding areas.